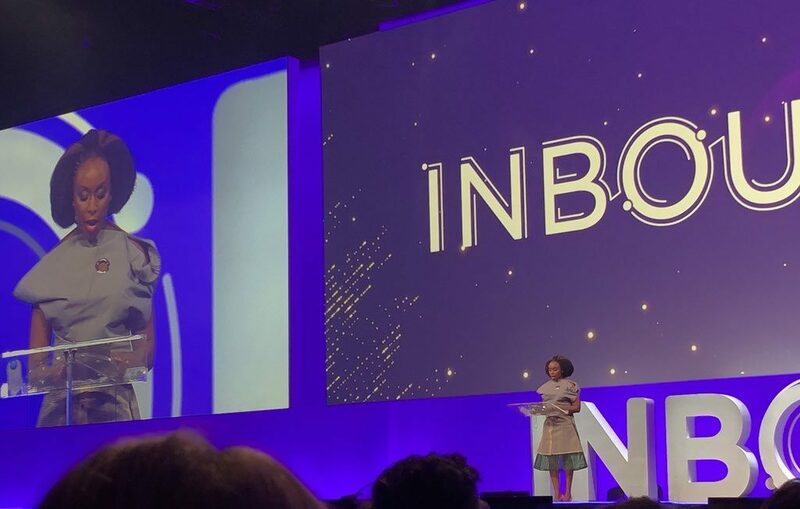 Best-selling Nigerian author, Chimamanda Adichie was one of the keynote speakers amongst a variety of other notable speakers at the 2018 Inbound Conference, one of the biggest events in marketing, which took place in Boston. She wrapped up the conference on Friday, the 7th of September with a powerful speech that had people talking on social media. Inbound features four days of inspiring talks from various speakers including award winning writer and executive producer, Shonda Rhimes. INBOUND is an annual marketing and sales event held by HubSpot at the Boston Convention & Exhibition Center. The conference aims to bring together a diverse community of industry professionals to celebrate and promote a more human approach to the way we do business. 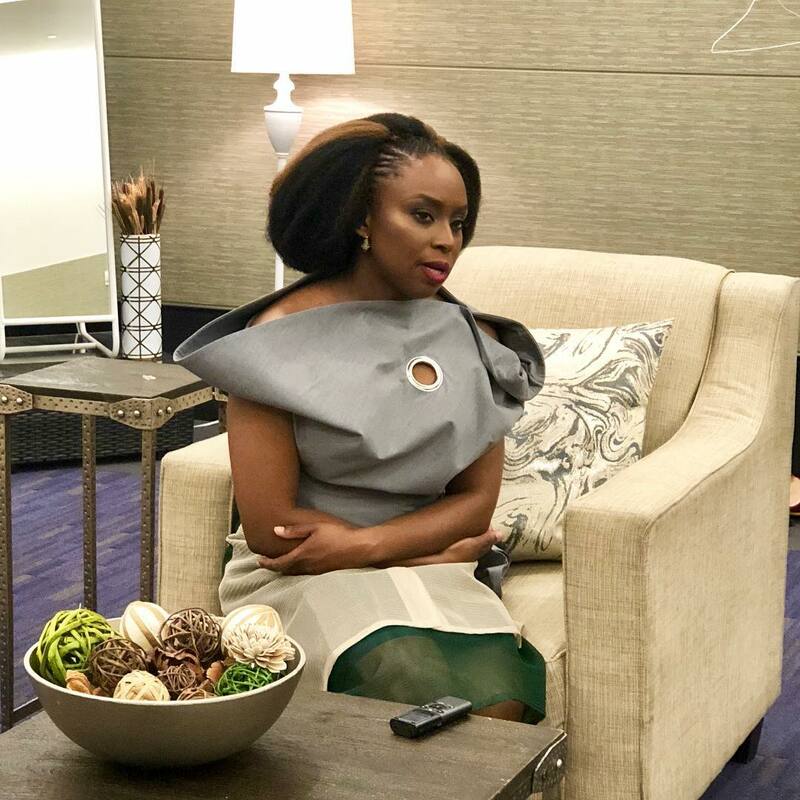 For the event, Chimamanda stayed true to her Nigerian roots by wearing a custom-made blouse by Style Temple and a skirt from Wuman.